Smart outlets are awesome. In my home, I have a couple lamps plugged into them, allowing me to control lighting using my smartphone or Alexa. I can even turn the lights off and on remotely. Today, TP-Link brings smart outlets to a whole new level with its HS300 Kasa Smart Wi-Fi Power Strip. Not only does it allow you to control up to six outlets, but it will monitor energy use too. And yes, it features surge protection too -- it is ETL certified. Unfortunately, the number of joules is not disclosed, but we will update this article once we know. 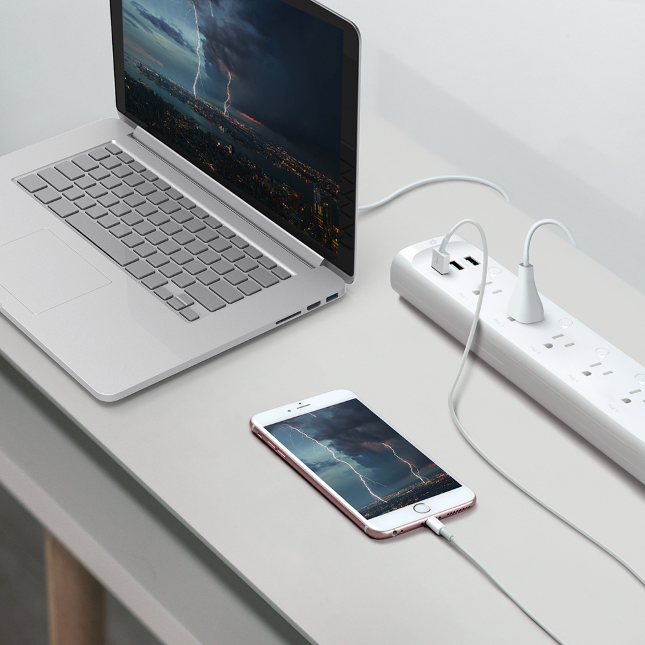 "With independent control of six devices and three USB ports to charge three others, the Kasa Smart Wi-Fi Power Strip is ideal for family rooms, home offices or small business, enabling you to power up electronics remotely using your existing home Wi-Fi network. There is no need to struggle with finding multiple outlets. You can simply plug all of your devices into one smart power strip and remotely turn them on from anywhere with the Kasa Smart mobile app," says TP-Link. The popular hardware maker further says, "The Kasa Smart Wi-Fi Power Strip is compatible with various voice assistants, enabling you to remotely control the power strip using voice commands with Alexa, Google Assistant or Microsoft Cortana. 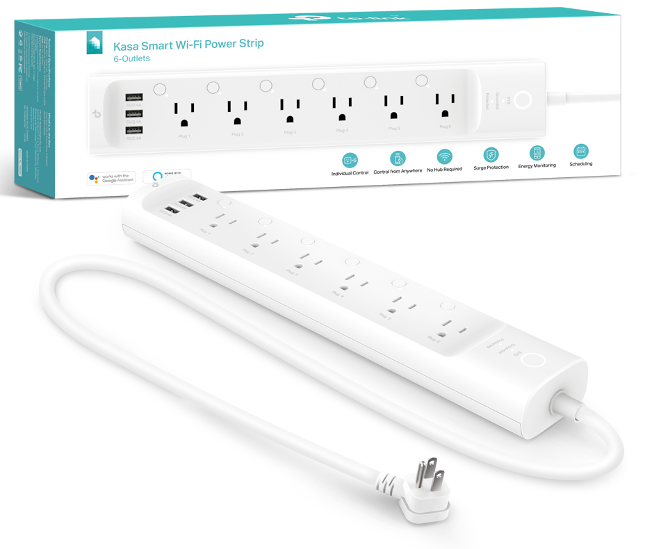 Additionally, the Kasa Smart Wi-Fi Power Strip lets you set schedules for your devices so you can automatically turn on and off throughout the day. You can even group devices together and easily control them all at once." How much does this smart power strip cost? It is quite reasonable at $79.99. It can be found on Amazon here.